Children and Youth Services Review is an interdisciplinary forum for critical scholarship regarding service programs for children and youth. The journal publishes full-length articles, current research and policy notes, and book reviews. For two decades, the goal of Children and Youth Services Review has been to provide a forum for the critical analysis and assessment of social service programs designed to serve young people throughout the world. 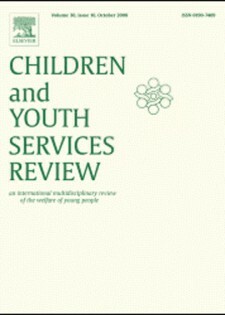 Children and Youth Services Review publishes full-length articles, current research and policy notes, and book reviews. The Review is dedicated to the development of a scientific and scholarly knowledge base for the child welfare field, as such, all papers are refereed and only those of the highest quality are published. As the list of quality papers submitted has grown in the past few years, the Review has expanded its frequency and is now published eight times per year. Children and Youth Services Review provides in-depth coverage of: child welfare, foster care, adoptions, child abuse and neglect, income support, mental health services and social policy.